Clyde Mackall Sr. He was born in Calvert County Maryland January 03, 1950. Kenneth was known for his gold tooth & his swag. He was one of the best bricklayers in Southern Maryland. Kenneth learned bricklaying many years ago from a close family and friend Gene Hawkins in a barn in Huntingtown, Maryland. Kenneth was known for being the life of the party and even though he had two left feet with no rhythm he still managed to show off his dance moves. Kenneth was also known for being a jokester and putting a smile on everyone's face that crossed his path. Kenneth loved being around his family & friends! Kenneth also loved his children from the bottom of his heart. Kenneth was a very particular guy he liked his clothes ironed, his women fine, and very clean cars. Whenever he spotted an old car, he could name the car and the year of the car. Kenneth also loved his oldie but goodies. He even gave himself the middle name "Otis" because he loved Otis Redding song "Sitting on the Dock of the Bay" & also loved Roy C "Slow Roll It". Kenneth also like playing horseshoes, playing cards, and he was an amazing gambler. Kenneth was also known for loving the Lord, he attended Bethel Way of The Cross church and he was baptized there in the late 90s. Kenneth attend old Brooks School in Prince Frederick, Maryland. Kenneth worked as Bricklayer for most of his life, he owned his own business K&M Masonry. He was good with working with his hands. He has built many homes & buildings in Calvert County Maryland. He was very proud of his work, he built the left side of Weis located in Solomons Maryland & was very proud to mention it whenever he passed through. Mackall, James "Jimmy" Mackall, & Roselee Mackall. Lastly, preceding in death are his nephews Tabias "Tango" Robinson, Rudolph "Rudy DJ" Mackall, and niece Chiquita Byrd. He leaves to cherish his former wife Edna "Stacey" Ford-Mackall. His seven children Lakeva S. Mackall, Shanta L. Mackall, Darlisha R. Mackall, Brittany J. Mackall, Ashley A. Mackall Howell (Marcell), Lamarr K. Mackall, and Deontray Mackall. His 15 grandchildren. His maternal siblings Geraldine Brooks (Clifford), Glenda Byrd, Bonnie Graham, Vickie Byrd, Tammy Byrd, Brenda Byrd. Linda Mackall (Rudolph), Chris Johnson (Charles), Janice Parker (Kenneth), and Walter Byrd. 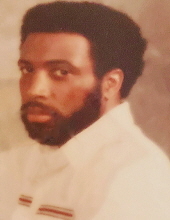 His paternal siblings Leroy Mackall (Regina), Terrance Mackall, Excella Mackall (Samuel) and Troy Johnson (Lorraine). He also leaves to cherish a host of Aunts, an Uncle, cousins, nieces, nephews, & friends. He also leaves to cherish his very special friends& family Florence Goldring, Cheryl Johnson, Lorenzo Parker, Floyd Height Jr. Hezekiah (Hezzie Cow) Johnson, Melvin "cool jerk" Mackall, Linwood Scayles, Jerry Parker, Maxine Mackall Harrod, Lorriane Johnson, Billy Smith, and Donald Brown. To send flowers or a remembrance gift to the family of KENNETH MACKALL, please visit our Tribute Store. "Email Address" would like to share the life celebration of KENNETH MACKALL. Click on the "link" to go to share a favorite memory or leave a condolence message for the family.